In the autumn of 1967, an obscure Jamaican group with a strange sounding rock steady recording, issued in the UK by an obscure small London-based record company achieved the unthinkable by breaching the British pop charts. 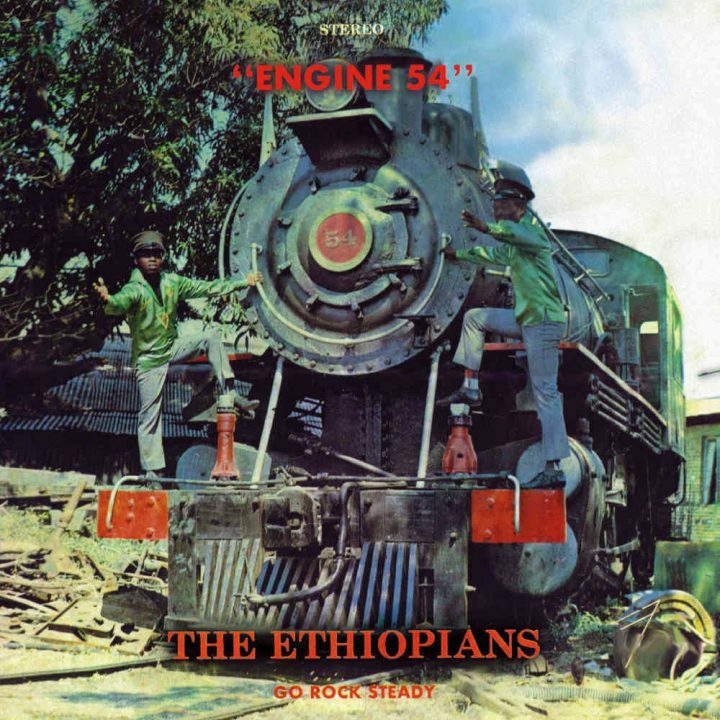 Despite limited distribution and very little radio airplay, the Ethiopians’ ‘Train To Skaville’ ended up spending six weeks on the nation’s Top 50 listings, peaking at a respectable number 40 on 26 September of that year. Its unexpected success led to Rio Records, the company behind the hit, being purchased by future Trojan owners, B&C, and rights to the group’s recordings acquired by another rival, Doctor Bird Records. Although the group were unable to secure further UK hits, they remained a major force in their native Jamaica, releasing a series of major local hits throughout the remainder of the rock steady era. In fact, such was their popularity on the island throughout this time that early in 1968, they joined the hallowed ranks of Kingston-based recording artists to have a whole album of their work released. Issued by WIRL Records in Jamaica and Doctor Bird in Britain, “Engine 54” collected ten original numbers, penned and produced in the studio by the group’s leader by Leonard ‘Sparrow’ Dillon, with the set including their international hit, ‘Train To Skaville’ alongside other such notable works as ‘Train To Glory’, ‘You Got The Dough’, ‘Give Me Your Love’, ‘Long Time Now’ and the immensely popular title track. Now, at long last, this seminal album has been expanded to include the remainder of the group’s output from the rock steady era and in so doing features numerous best sellers alongside a number of rarities from the latter half of 1968.